Because I loved to read when I was a kid (still do, actually) books also became the primary source of the beginning of my love affair with genealogy. Although my initial contact with genealogy began when I saw a family tree of the Japanese Imperial Family in a collector's item magazine during the wedding of Crown Prince Naruhito to commoner Masako Owada, it was still a book that got me really hooked on the topic. Cliche as it may sound the one book that truly started my fascination with genealogy was Alex Haley's Roots: The Saga of an American Family. I saw my copy of Roots in a secondhand bookstore and from then on it became one of the books I would always read again every few months. In the same secondhand bookstore, though several months later, I bought Stephen Birmingham's America's Secret Aristocracy. Years later I saw the third and final book which would form a triad with the first two I bought. This was the reproduction of the Renovacion de Apellidos decree of Governor-General Narciso Claveria by the Philippine National Archives. With these three books, my devotion to genealogy was sealed. Roots: The Saga of an American Family. 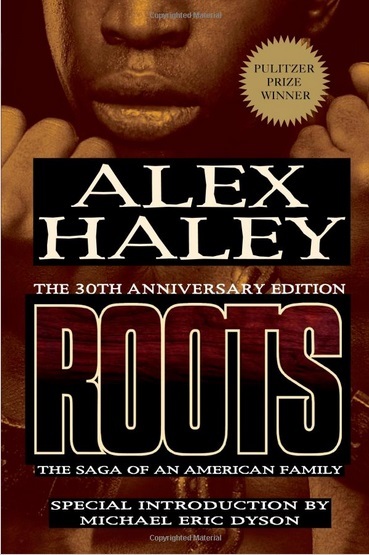 Published in the 70s, this heartwarming, totally amazing chronicle of the family of Kunta Kinte, Alex Haley's African ancestor who was sold to slavery is a must read for all genealogy enthusiasts regardless of racial or ethnic origin. The release of Roots in bookstores all over the world was actually credited as the reason for the increase of interest in genealogy by people from all walks of life. Since the 70s, more and more people have been tracing their family histories. This book also taught me one important lesson: most families do not have the same good fortune as others who have journals, letters, and other old personal correspondences that would allow the present generation to understand their ancestors more. 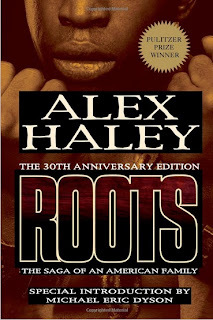 Towards the end of the book Alex Haley explained that in order for him to write realistically about how his African ancestor, Kunta Kinte, really felt about being chained inside a slave ship for several weeks, he himself tried to replicate the experience of his forebear. He rode a freighter from Africa to the United States and every night he would climb down into the ship's deep, dark, and cold cargo hold, stripped to his underwear, lie on his back on a tough plank and forced himself to stay there through ten nights of the crossing. Though this was really nothing compared to the horrible conditions of his ancestors, Alex Haley stated that doing that allowed him at least a glimpse of his ancestor's experiences. This, then, became my guiding philosophy when writing a crucial event in my family history. Majority of my own family history writeups were also "validated" through replicated experiences. 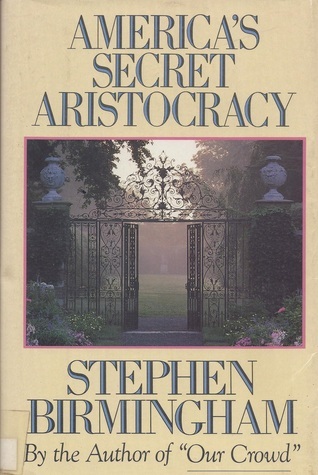 America's Secret Aristocracy is one of those books that deal with the elite clans of the United States. This was written by Stephen Birmingham, who has also written similar books about the various prominent families in the United States. While this is purely a book on the American aristocracy it gave me the idea of trying to connect the prominent families of Philippine politics. Indeed, my articles RP Politics: Still a Family Affair, Argao Politics: Family Affair, and Filipino Beauty Pageants: A Family Affair were all inspired by the amazing connections found in this book. His other books include The Grandees: America's Sephardic Elite, Our Crowd: The Great Jewish Families of New York, Real Lace: America's Irish Rich, and The Rest of Us: The Rise of America's Eastern European Jews. Finally, the third book that has always guided me in my genealogical journey is the reprint of the Catalogo Alfabetico de Apellidos. In my opinion, no Filipino genealogist, whether professional or amateur, should be without this amazing book. This was the first book to really makes sense of the many unique traits of Filipino surnames. I used to believe that all people bearing the same surname were related, and no write-up online could dissuade me from this belief. But when I saw this book, and read how a single law imposed surname use to the native inhabitants of the Philippines in 1849, my eyes were opened. The book contains an introductory discussion on surnames by then Archives director Domingo Abella. Then there is a brief discussion on the life and times of Governor-General Narciso Claveria and some of his other achievements during his short stint as Governor-General of the colony. Then the actual decree is presented including the succeeding documents by the successor of Claveria inquiring about the status of implementation of the decree. Scans of the decree and the succeeding documents are included, thus giving more authority to the book. Finally, the complete catalog of surnames makes up for the bulk of the book. No effort to type the surnames was made, however. The list you find in the publication is actually a simple scan of the original list. The names are not perfectly arranged alphabetically and many areas of the catalog have unclear surnames. More reviews of other books in the days ahead!